Using the catalog numbered cards, I ask the audience to pick a card from the pile. Then the performers execute the selected catalog movements. 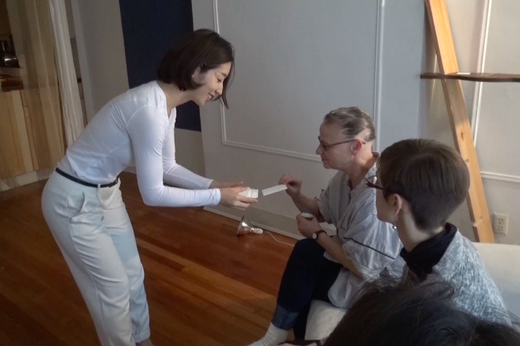 This selecting method was executed in the Performances at Domestic Performance Agency, Brooklyn, NY in 2016 and the Performance Studio Open House at the Center for Performance Research, NY in 2017. I display cards with movement instructions (MMC) on stage. 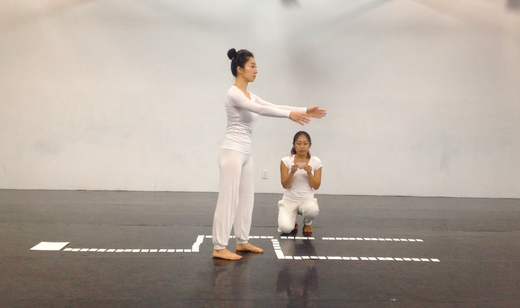 One performer randomly picks one card and reads it for the purpose of the other performer executing the selected movements. The piece was performed in 2016 at the Field Summer Workshop, NY. 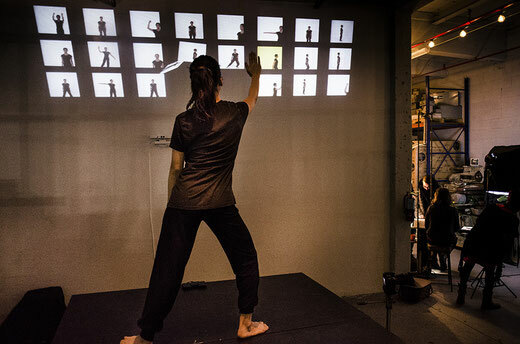 In this collaboration with artist John J A Jannone we create a selecting system Using KINECT(motion sensing input device) . The movements are selected, combined, performed by performers on stage. This system was performed at the Industry City Distillery, Brooklyn NY in 2015.